Last week one of my co-workers had a beautiful sophisticated subtle hue on her nails. So this week inspired by her, I'm donning "Eiffel For You". 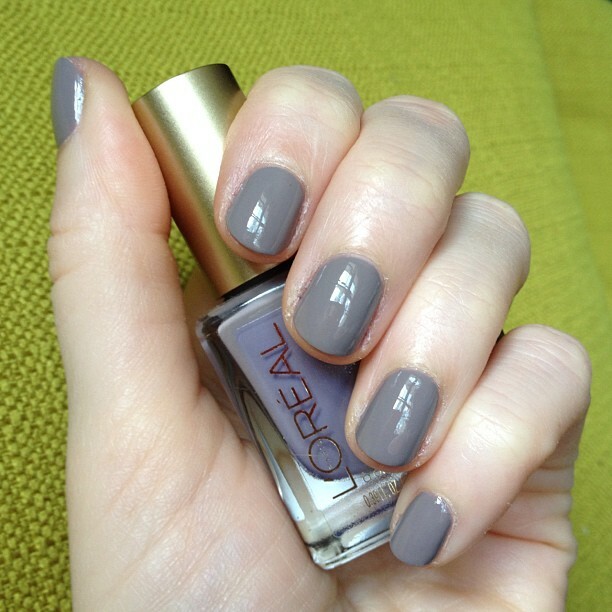 This hue by L'oreal is almost exactly in-between lavender and grey. Perfectly effeminate.